The St Patrick Environmental and Community Tourism Organisation (SPECTO) has, despite some challenges, deemed their recently held climate smart exhibition a success. The event which was held at the Plains Playing Field under the theme “A glimpse of our Climate-smart future” was an initiative taken as part of the non-profit’s ongoing public education efforts. It was organised on the basis that while there is much conversation about the effect of climate change many persons are without a clear understanding of the future we may inherit and one we should plan for to impacts of climate change. 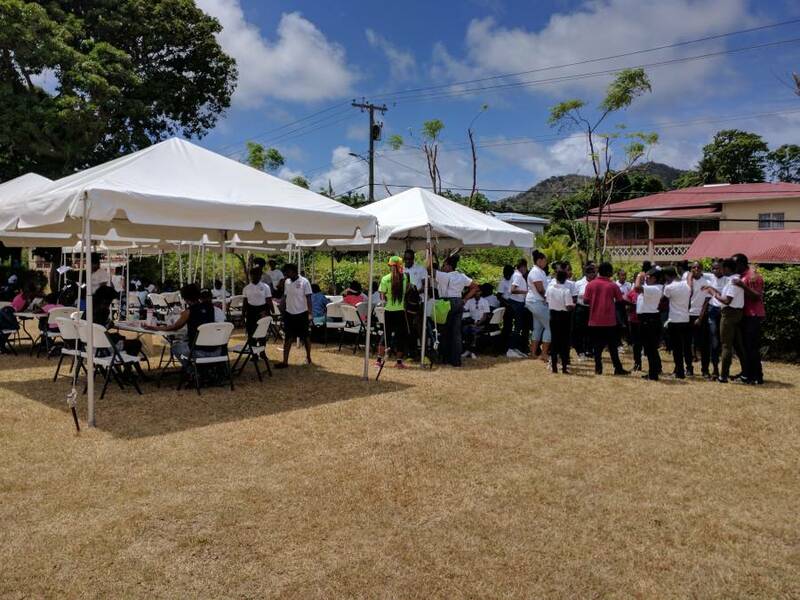 Consequently, the event sought to highlight current conservation and adaptation efforts currently underway in Grenada and provide locals with clear, visible and practical examples of what a climate smart future would look like. Fourteen exhibitors participated in the event, their displays focusing on the philosophical underpinnings of the climate smart event focused on aspects of Climate smart operations such as resource conservation, safety and improved human health, renewable energy, biodiversity assurance, greenhouse gas reduction and waste reduction. There was a children’s village, considered by many as the highlight of the event, where children were involved in number of fun, climate themed, educational activities which included storytelling, art, craft, recycling bottles and paper, extempo competition, planting a tree, face painting. In addition, there was entertainment from Tivoli Drummers, The Nyabinghi Family Group, Mc Donald College School Choir, Senator Mitchell, with his environmental themed poetry with DJ music featuring tunes such as Baron “Mother Earth is crying” and brother Renaissance. SPECTO would like to extend a special thank you to UNDP/GEF for providing funding for the event under its Small Grants Project (SGP). We also wish to thank all our climate smart exhibitors, without them, we could not have had an that EVENT, all our entertainers, smart food vendors, Blue Bubbles, Glenelg, Grenlec, for their use of their electric car, children had so much memorable fun driving in their first electric car ride, Real FM 91.9, Steve Maximay, Ian Marshall, Paula Lewis, Akarda Ventour and most of all the attendees to the exhibition because without them the event would have simply been an idea.